Use Stormz to manage your recruitments! Why not turn your recruitment process into a common purpose? We are currently looking to fill the position of Head of Consulting, a highly important post which will encompass all departments and involve our whole team. It is therefore critical for us to conduct a collaborative recruitment process to give everyone a chance to voice their opinion, express their thoughts and reach a consensus. But how can we do this while taking into account our different work obligations and schedules which keep us from being able to meet at the same place at the same time? Using Stormz, of course! We created a workshop to make a collaborative decision and choose, in all transparency, our new Head of Consulting. We created a card for every application we’ve received: the CV is attached; the cover letter is displayed in the description while all other relevant information can be found in the comments section. 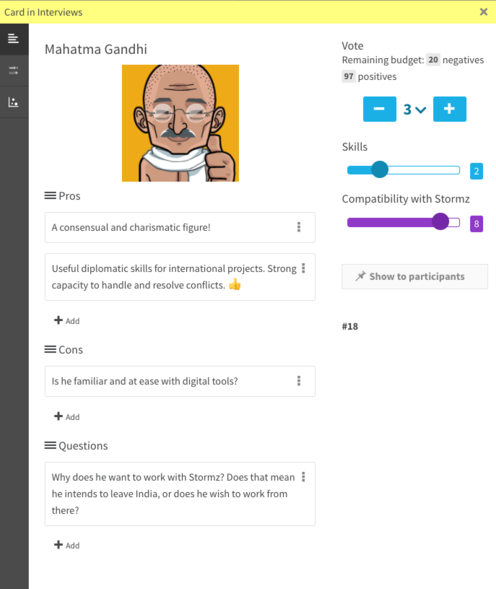 The whole team will analyse the applications using two different methods: an assessment based on two criteria (Skills & Compatibility with Stormz) followed by an enrichment activity based on three sections (Pros, Cons & Questions). 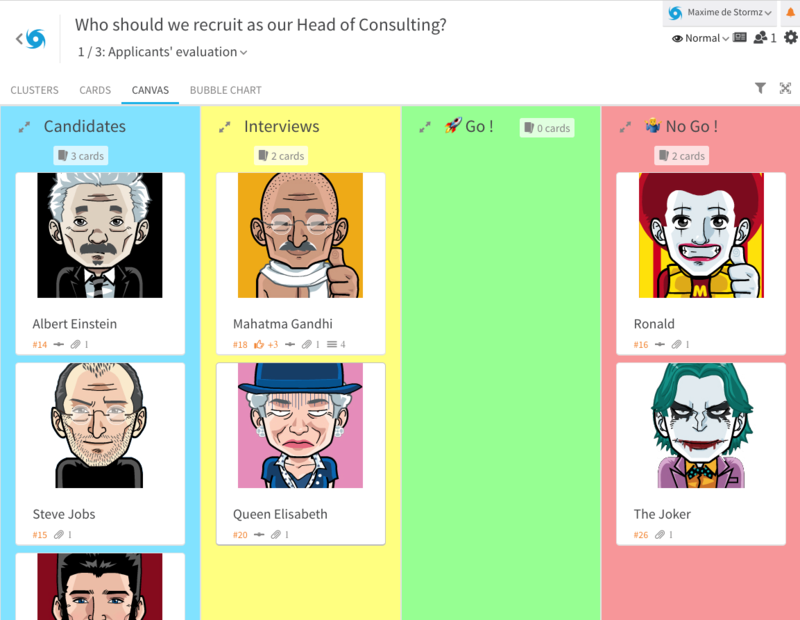 For recruitment purposes, we created a 4-column canvas: Candidates, Interviews, Go and No Go. The goal of the first one will mainly be to determine whether an interview should be arranged for the applicant, in which case the card will be moved to the second column. Using Stormz was self-evident to recruit the newest member of our team. Everyone was able to follow the whole process, while being given the opportunity to share their thoughts and expectations. Moreover, I was able to manage this discussion from Washington as easily as if I was with them in our Paris office. Why use Stormz for your recruitment? 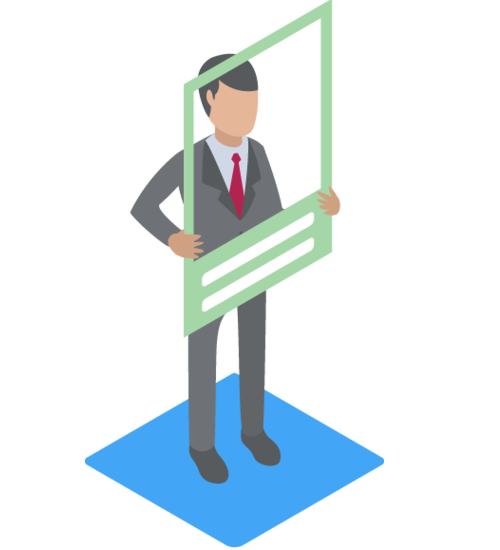 Ensures a full transparency with other collaborators and employees. 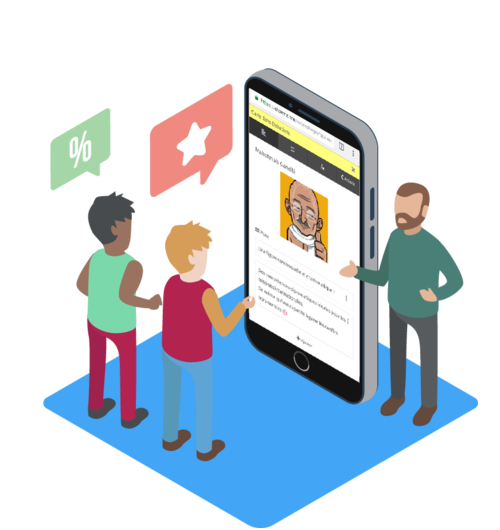 Gives everyone the opportunity to voice their opinion in a structured and efficient way. 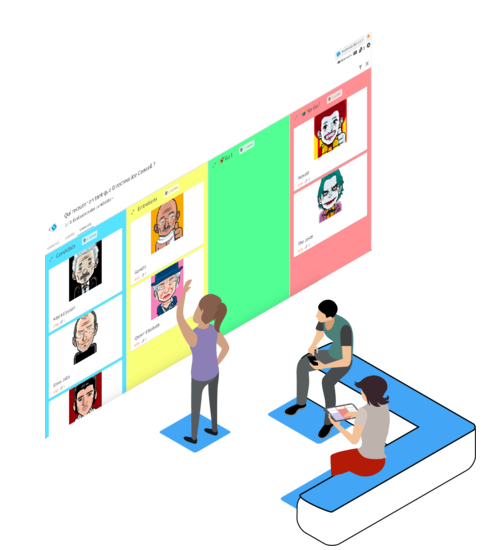 Regroups all the discussions on a single platform. Enables to manage the recruitment process in-house. Example of an application card and evaluation features.